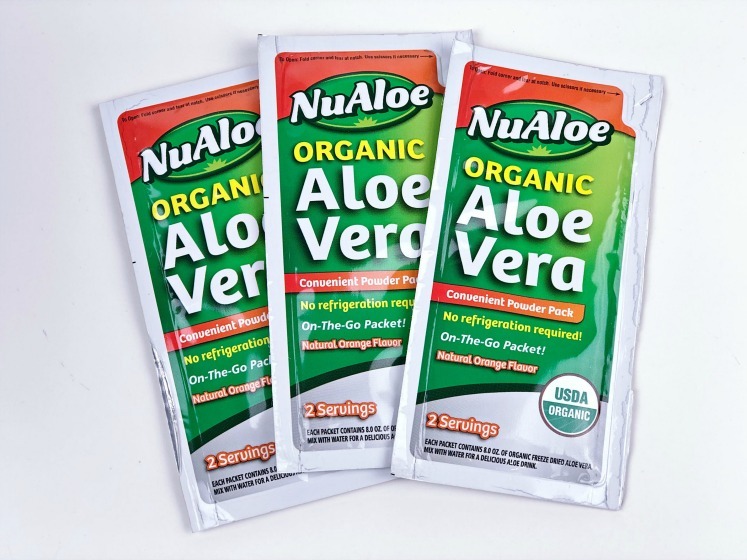 Introducing NuAloe Organic Aloe Drink Packets! I have known for years that Aloe Vera is a wonderful plant with a lot of healthy properties. It’s found a lot in natural home remedies and now you can find it in over the counter skin care. I remember back even as a teenager my mom would go find the aloe lotion when I got a bad sunburn. We now have Aloe Vera juice and drinkable Aloe Vera, which can provide benefits to the inside of your body too. If you haven’t heard of drinkable Aloe Vera, it has actually been on the market already for some time. The product typically comes in large jugs, which may be inconvenient for the average person trying to stay healthy. 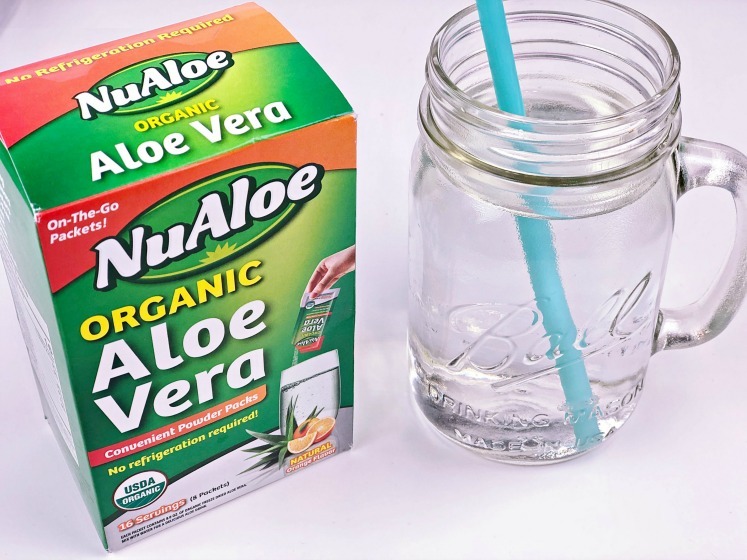 NuAloe is a great solution if you use this supplement, since you can get drinkable Aloe Vera in a one-serving, orange flavored drink packet, perfect for on the go. I love the idea of NuAloe packets since I am not opening a large container which I must drink before it goes bad, or throw it away. These packets let you get your Aloe Vera on the go and take it at your own pace, whether it’s daily, a few times a week or just now and then. Sometimes with supplements I just want to listen to my body and take it when I want, rather than every single day. Additional note: this post is for information only; it’s recommended to consult your doctor before trying any supplement. If you’re interested in trying the product out but are like me and always prefer a coupon, just click below! Score $2 off your NuAloe with this printable. You can easily find it at Walmart Supercenters, with the health and supplement products (near the pharmacy). NuAloe states It is not tested on animals, and has the benefits of Aloe Vera juice which include digestive and skin health. See more on their website here. As always, check with your doctor before trying any supplement including this one! Remember to open your ValPak envelope for an additional $2 off coupon. These are sent through the regular USPS so keep an eye on your mailbox for more savings.